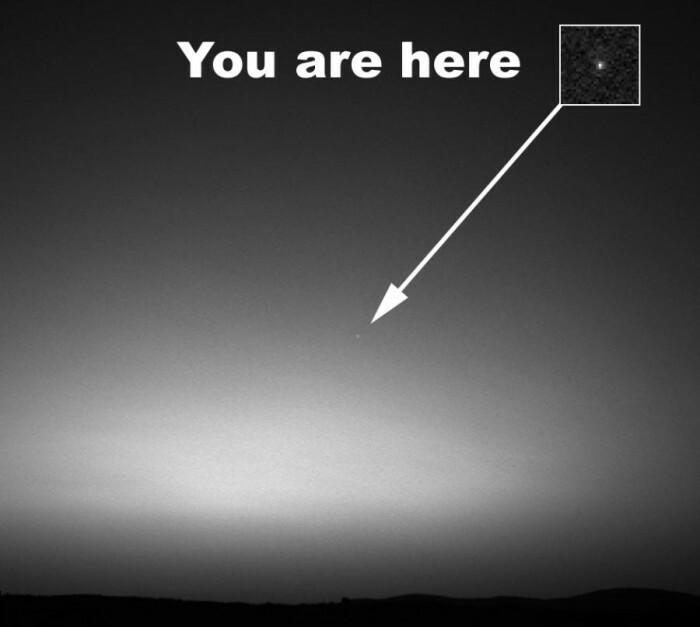 Earth from Mars: First image ever taken of Earth from the surface of a planet beyond the Moon. What you do not know, is there is a dickgirl just to the left of that dot. Mars has been pretty damn bright right during the sunset lately.